Book now in just a few steps! Our Large Rooms are located on the first floor and offer a spacious, light-filled space, complete with a double bed, a desk and a wardrobe. Our Superior Rooms are scattered across the three floors of the hotel. All of these generously proportioned rooms are fresh and clean, and are bathed in natural light. The Junior Suites are our largest and most stylish rooms. They are located on the upper floors of the hotel and afford spectacular views over the countryside around Villasimius. Hotel Regina Simius is located in the heart of Villasimius, in southern Sardinia. 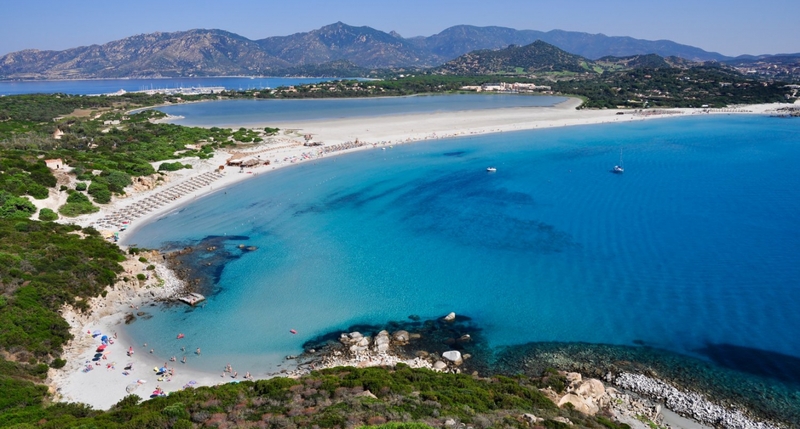 The coast of Villasimius is one of the most celebrated in all of Sardinia, thanks to its fine, sandy beaches and turquoise water. Discover Sardinia on two wheels! Our hotel also features a little workshop where you can carry out all of the necessary adjustments to your motorbikes and bicycles. We pay particular attention to this part of the day.